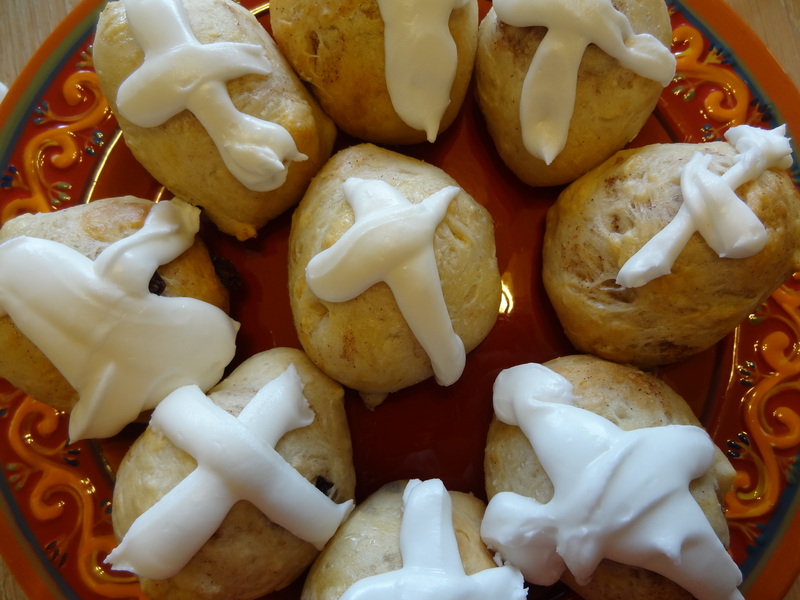 It took me almost 16 years to try to make Hot Cross buns. Every year my husband would suggest we should make it ! So today was the day … to try something new. I googgled the internet and found this great recipe of the Pioneer Woman. I changed a little bit the recipe. 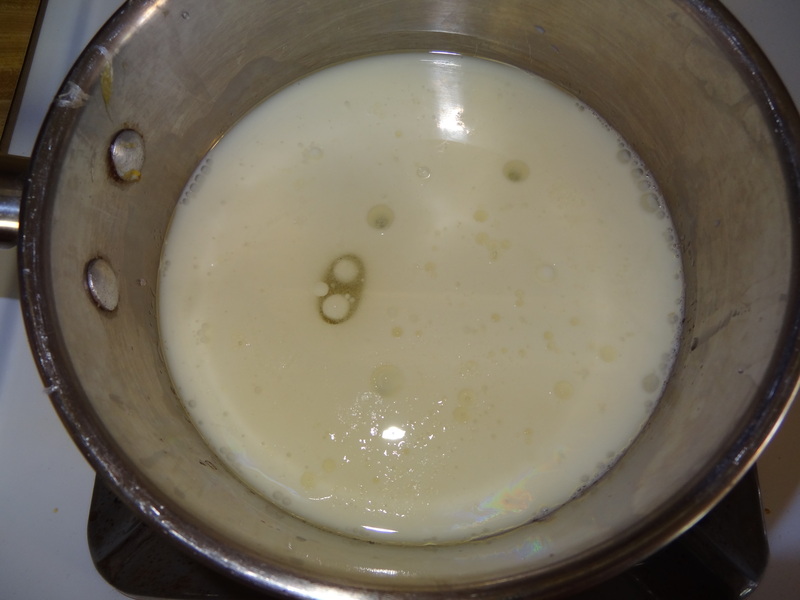 Combine 2 cups milk, canola oil, and 1/4 cup sugar in a saucepan. Stir and heat until very warm but not boiling. Turn off the heat and allow to cool until mixture is still warm, but not hot–about 30 minutes. 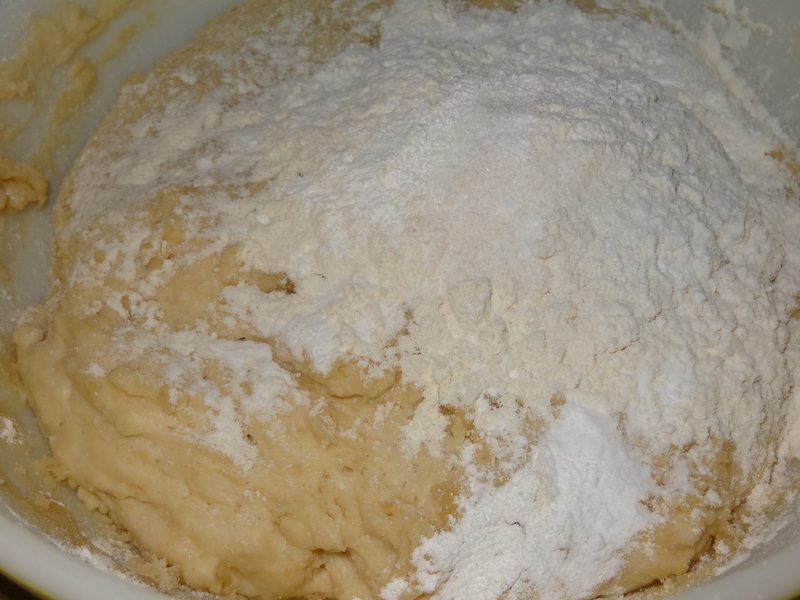 Sprinkle yeast over mixture. Add 4 cups of flour and stir to combine. Mixture will be very sticky. Cover with a towel and set aside for 1 hour. 4. 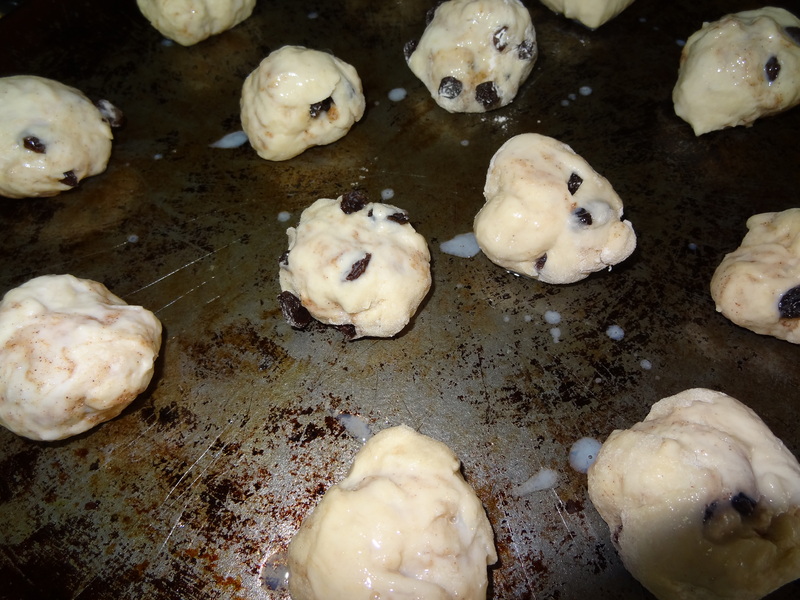 Add 1/2 cup flour, baking powder, baking soda, and salt. Stir till combined. 5. Combine 1/4 cup sugar with cinnamon. 6. Lightly flour surface. 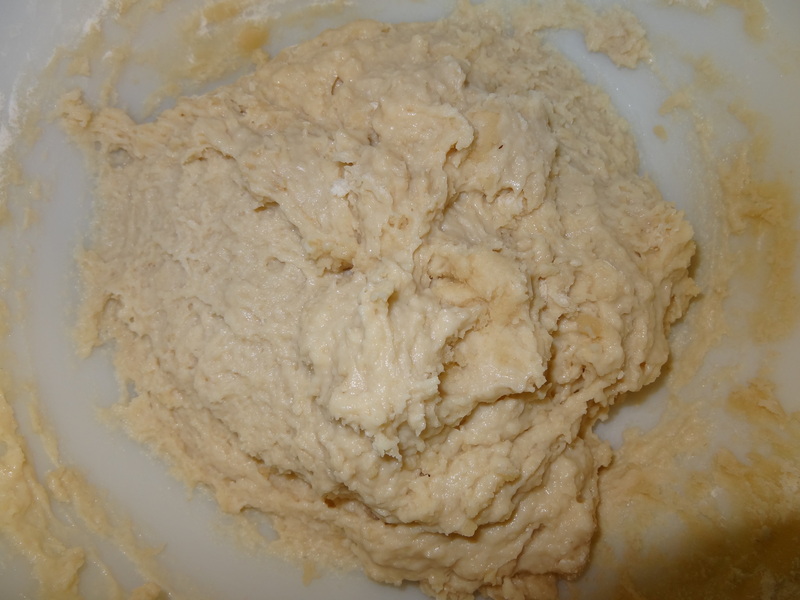 Press to slightly flatten dough. Sprinkle a couple tablespoons of the sugar/cinnamon mixture. Sprinkle on about a third of the raisins. 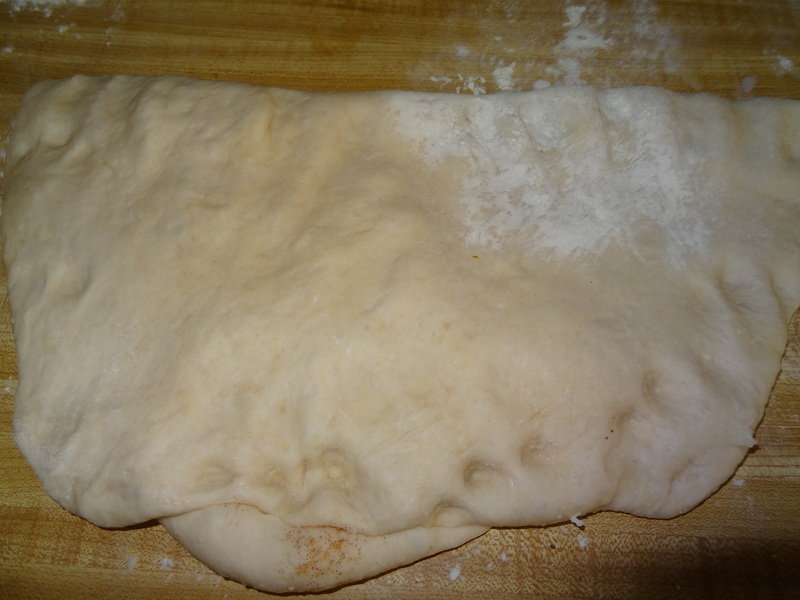 Then fold the dough over on itself and flatten again so the dough is “plain” again. 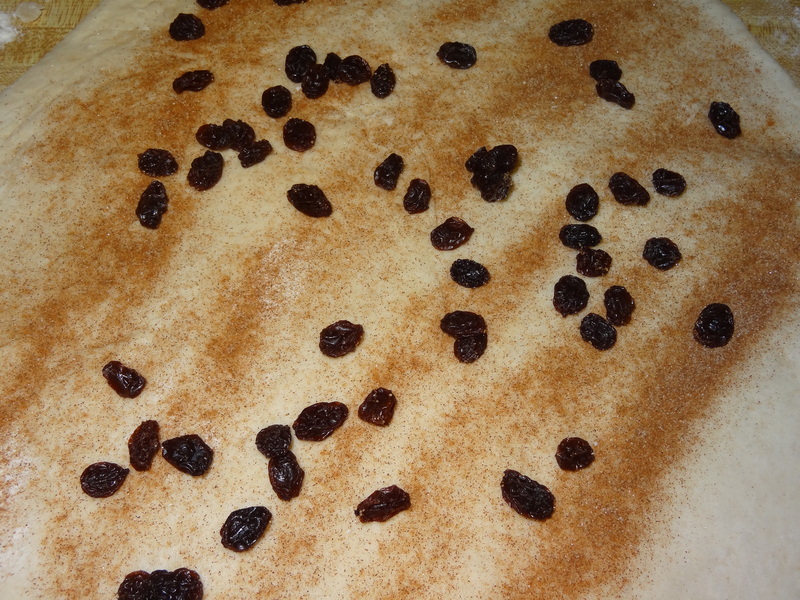 Repeat the sugar/raisin process, then fold the dough again. 7. Pinch off golf ball-size bunches of dough. 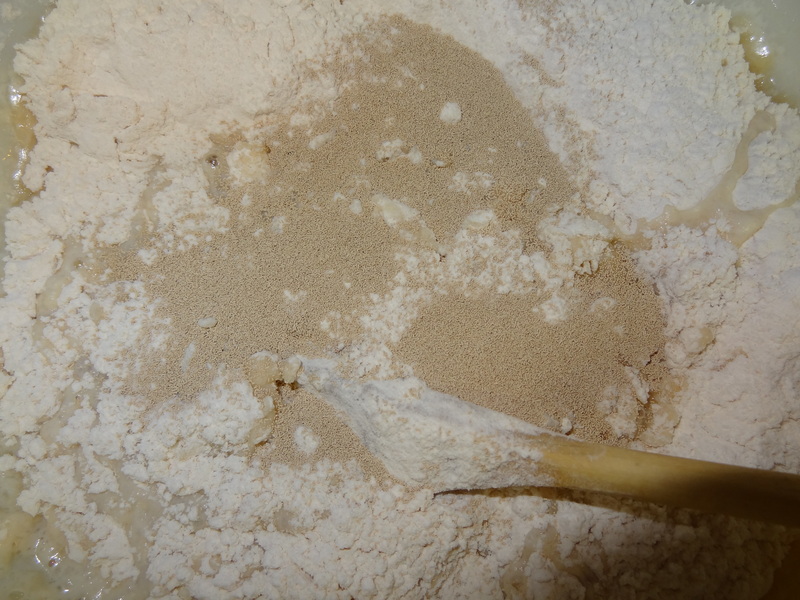 With floured hands, quickly roll it into a ball, then turn the edges under themselves slightly. Place on a lightly greased cookie sheet. Cover and allow to rise in a warm place for at least 30 minutes…an hour-plus is better. 10. When the the buns come out of the oven. Allow to cool. 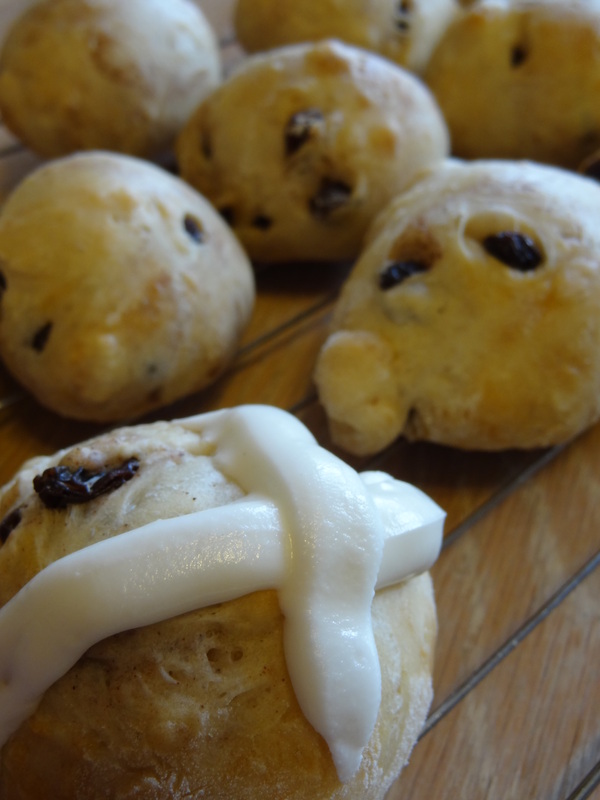 Make a cross on each buns.